gentlemen) can be directly affected by food hormones. are commonly found in Indian, African and Arabian foods). consumption of this exotic plant can increase libido in men. significantly reduced in those women who consumed licorice. alternatives to combat polycystic ovary syndrome (PCOS). PCOS often causes excess facial hair in women. to the origins of breast cancer. included beans in their report of phyto-oestrogen foods. sprouts, cabbage, cauliflower and kale, amongst others. problems shouldn’t be afraid of eating a little extra salmon. beans, peas, lentils and peanuts. 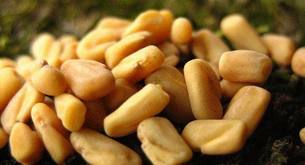 Fenugreek seeds can increase your libido. How many times a year is your period late?